The Muvi Universal Pole/Bar Mount for Bikes, Roll Cages, Boat Rigging with Tripod Mount. 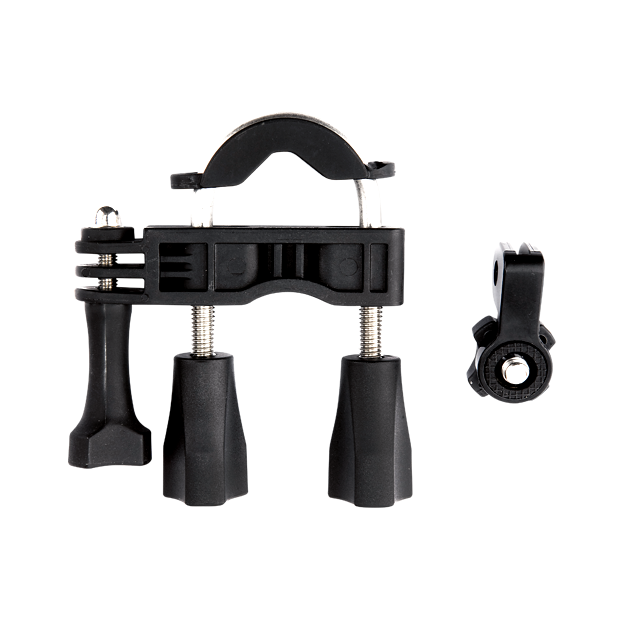 A versatile mount that will work in conjunction with the mount fittings for the K-Series / Muvi HD or the tripod mount for the Waterproof case. This mount is perfect for mounting anywhere on a bike, roll cage, boat rigging or anywhere where there is a bar or pole. Ships with tripod mount.